The Pinay Explorer : Are You Financially Fit? How money smart are you? Are you financially fit? Do you have the means to support your chosen lifestyle? Take this simple test to check your financial fitness. Do you have enough savings to last you 6 months if, for some reason such as an illness or a job dismissal, you have to stop working today? Do you have any form of personal insurance, for example, accident or disability or life insurance? Do you have any form of personal medical insurance? Do you have any long term savings plan such as a pension or educational plan or any endowment or retirement plan aside from your contribution to 401k/SSS/GSIS? Are you saving or investing money regularly from your salary? Do you know how much you are worth today? Do you have your own Statement of Assets, Liabilities and Net Worth? Do you budget your spending and monitor your monthly expenses? Do you have your own Personal Income and Expense Statement? Have you attended any seminar or read any book on improving your knowledge on personal finance? Do you invest you time and effort on increasing your financial IQ? Is your monthly debt payment (for consumption purchases or credit card payments) every month less than or just about 15% of your monthly income? Do you have a personal plan with specific financial goals based on a specific timetable? Give yourself 10 points for every “YES” and 0 for every “NO”. 0-40 points: You are financially unhealthy. You will face serious danger the moment you lose your source of income. You need to review your expenses, particularly your debt payments. You have to stop all unnecessary expenses immediately. 50-70 points: You are in a good position to be financially healthy. You just need to improve your financial plan. First, determine the personal net worth you want to have when you retire. Ideally, you should break down this target every 10 years. This means you have to choose the lifestyle you want to maintain. Second, estimate how much you will need every year to sustain this lifestyle. This will easily let you fix your financial goal (or how much, in terms of earning assets you should have) every 10 years. 80-100 points: Congratulations! You are on your way to financial freedom. You have the commitment and the discipline to achieve your financial well-being. Keep it up and don’t fail to exert effort to learn new things about how to further achieve your financial goals. Don't stop here. I encourage you to keep learning and start building your financial IQ. 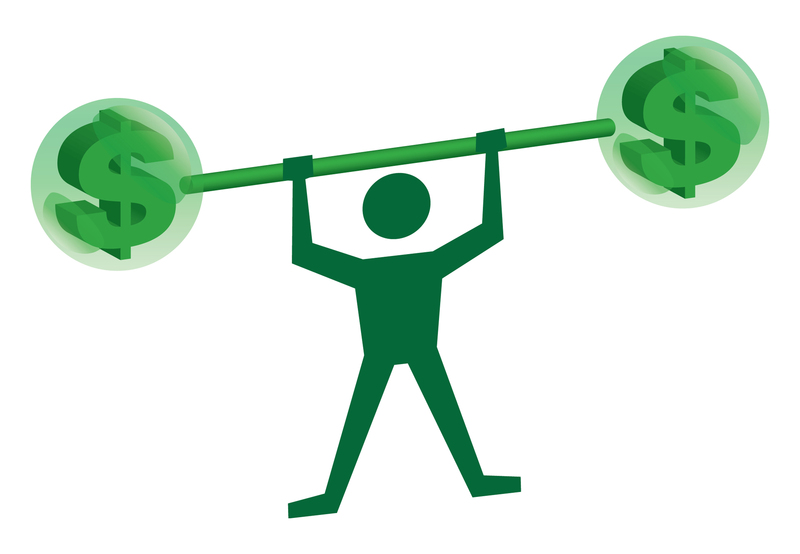 Just like your physical muscles, you need to develop those financial muscles. Before you know it, your financial plan is going to take shape. And you will be on your way to your financial freedom.